This topic contains 9 replies, has 4 voices, and was last updated by Shan Gao 4 years, 5 months ago. Given the debate over the meaning of the wavefunction, an examination of the original motivations of the Schrodinger equation is of plausible relevance — and arguably of reasonable significance. 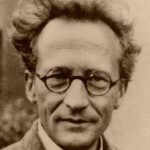 This short essay notes that two key components of Schrodinger’s 1926 papers rely crucially on epistemic concepts from classical physics. (In other words, classical physics concepts that are ill-defined from an omniscient viewpoint, but are only useful/meaningful from the perspective of an agent with limited information.) This would seem to bolster the “\psi-epistemic” view of treating the wavefunction as a state of knowledge instead of a description of reality. Schrodinger’s original presentation of his time-dependent equation bestows a crucially important role to Hamilton’s Principal Function, W (as do many other subsequent arguments that start with the Hamilton-Jacobi equation). But even though W is often simply called “the action”, it is *not* the (ontological) action, but instead a summary of many possible but flatly-incompatible classical histories. W might be useful as a state of knowledge, but it would be very strange to build an ontology out of it. One of the strange aspects of W has been discussed at length, here and elsewhere: the fact that W lives in configuration space rather than spacetime, at least for more than one particle. But it is generally not been noted that an ontic-W would much stranger than the mere space that it resides in. Even for single-particles it is essentially an epistemic tool, and this is clearly the case in the classical domain in which W originated. This certainly doesn’t prove that the wavefunction must be epistemic as well, but it adds to the many excellent arguments in that regard (Spekkens, Fuchs, etc.). It also cautions one against drawing on the classical Hamilton-Jacobi equation for addressing foundational questions at the deepest level. Obviously, this paper is quite short; had I had more time to work on it I might have pointed out one more curious feature about W: Even though a classical W quickly devolves into epistemic uncertainty as time progresses, it can easily be made to start out ontically, by choosing a reference point in spacetime where a particle has been measured to actually exist. Here, then, is an example of a classical structure that naturally evolves from being “ontic” at preparation to being “epistemic” at measurement. (It is at measurement where the best arguments for the psi-epistemic viewpoint reside.) As a final note; the PBR theorem examines the status of the wavefunction at *preparation*, and determines it is ontic. And yet few people have examined models in which the wavefunction makes an ontic-to-epistemic transition (where the probability overlap between states grows with time). Hamilton’s Principal Function is then a proof-of-principle that such cases deserve consideration, especially considering that W was the original motivation for \psi. I’m trying to understand your new point about the ontic to epistemic transition. In the classical case, is W ontic because measuring a particle at xsub0, tsub0 uniquely specifies W at all x,t (making it look like a physical field)? If so, how does it become epistemic? Is that because the initial velocity was not specified/measured, so at a later time tsub1, no xsub1 is singled out to give a unique time, position pair to take the place of xsub0, tsub0 in specifying the new W(x,t)? Thanks for the question… and yes, that’s essentially correct. At a big-picture level, looking at the whole history of W(x,t) vs. some particular classical particle trajectory, I would say that W is epistemic in the only ways that really matter: many different W’s are compatible with the same actual classical trajectory (depending on the reference point), just about any ontic trajectory is compatible with the same W, and upon learning more details about the actual trajectory, one can update W.
But then, at future times, before a second measurement is made, the possible locations explode; you can’t determine W by looking at the actual particle position (at that later time only), and you certainly can’t determine the actual particle position from W. And if you did gain new information, you might choose to update your W to a new reference point. As you can tell, I don’t think slicing up the history into instants and using the standard epistemic/ontic definition is particularly useful. In fact, in might even be misleading, in that it has steered people away from the important point that “ontic” at preparation may still be essentially epistemic in all the ways that really matter — at least when it comes to \psi. I don’t understand this comment. PBR employs prepare-and-measure experiments, but the lambda could refer to the ontic state of the system at any point between the preparation and measurement. I do not see why it is necessarily at preparation. But on your main argument, it seems to me that W(x,t) is encoding information about the laws of physics, i.e. about what the trajectory would have been if the initial conditions were different. I think this makes it nomological in the sense of Valia’s talk, rather than epistemic. I would normally think of the laws of physics as ontological in the sense appropriate for things like the PBR theorem. More generally, I am not sure if making a historical argument is the best tack to take in defending psi-epistemicism. Schroedinger was obviously conflicted on the issue for some time, given that he also tried to get a pure wave formulation of quantum theory without the Born rule to work for some time. If the many-worlders had made the argument that psi has to be real because early quantum theorists like Schroedinger intended it to be real then it would certianly be worth pointing out that this is not necessarily true. However, I think the argument they actually make is: the structure of quantum theory as it now exists should be our guide for determining what is real. Since that structure includes the wavefunction, the most straightforward explanation for the success of quantum theory is to posit that the wavefunction is real and go from there. Although I don’t think this is a great argument, it seems to be independent from the historical developmemnt of the theory. This is an intriguing paper. It proposes some interesting novel ideas. I have two general concerns. One is that the similarity between two math equations seems not to ensure these two equations have the same physical interpretation, as in the case of Nelson’s stochastic mechanics. The other is that Schrodinger’s original derivation of his equation is only a heuristic derivation. So, it seems debatable to draw fundamental physical implications from the derivation. On the status of W(x,t), I don’t really see a meaningful distinction between those two options; the important aspects of “epistemic” that I’m interested in are outlined in my response to Richard above. (I agree that W is a summary of many possibilities, but even so, one would never treat the phase-fronts of W as a real wave…?) Maybe it would seem more “epistemic” by your lights if you considered realistic non-classical trajectories, as outlined on the top of page 2. In that case, W would only summarize our best guess of the trajectory, assuming we didn’t know how the actual trajectory would deviate from classical physics. Thanks for your kind words; and I certainly agree with both of your points. I happen to think that having two wildly different interpretations of the mathematics of configuration space in particular (stat mech vs Everettian QM) is quite unlikely, but sure, it’s certainly possible. I’m one of those few realists who think we can force multiparticle QM back into ordinary spacetime (via retrocausality, see ref. ), so I happen to like the stat-mech-style account. I actually quite like classical fields, so I’m not *as* opposed to entities like W(x,t) as it might appear, but I would like there to be more focus on *relativistic* classical fields, not the W-like fields that obey Hamilton-Jacobi-style equations. As for the fact that the motivation was only heuristic, I agree that that makes my point even weaker, but I hope the point remains that Schrodinger was still appropriating *concepts* from the non-ontic sector of classical physics. I’m also one of those (few?) realists who think we can force multiparticle QM back into ordinary spacetime (via random discontinuous motion of particles, in my case).